Steep slopes, suddenly appearing obstacles and surprising turns in the track demand sharp reflexes, requiring players to give their all. 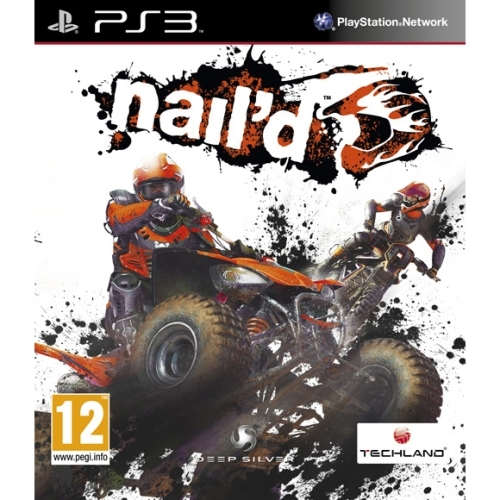 Through its insane bursts of speed, nail'd will catapult you from one adrenalin boost to the next. In a tournament, players will charge through diverse geographical track settings, e.g. between the redwood trees and sheer granite mountain faces of Yosemite National Park. Players in nail'd get to choose between various vehicle classes, including motorbikes and quads. Once they have picked their wheels, it's time to hit the track and prevail against challenging AI opponents. A compelling soundtrack by well-known bands helps to urge you on to do your very best. Moreover, a multi-player mode allows you to secure one of the top ranks in the leaderboards of global online tournaments. Constant sensation of ultimate speed is the players companion throughout the game. Lightning-fast reflexes and tactic skills are what stands between victory and defeat. Breakneck rides on near vertical mountainsides with up to 70-degree slopes - feel your heart pumping! Steer your vehicle mid air allowing for full control over your ride. Shortening or lengthening your jumps, changing angles can make or break your lap time.